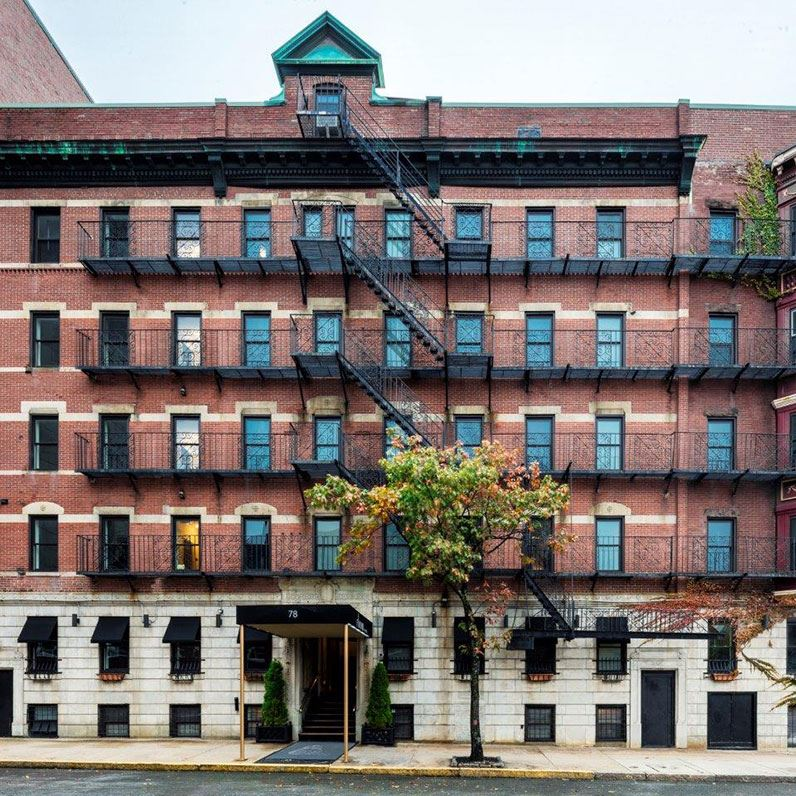 It’s no secret that hotels are expensive in Boston but one week after the South End’s newest hotel The Revolution opened, another hotel targeting the budget conscious-traveler with an eye on European tourists and Millennials has opened; this time in Bay Village / Theater District. Found Boston Common has just opened in the building formerly known as the Milner Hotel at 78 Charles Street South. 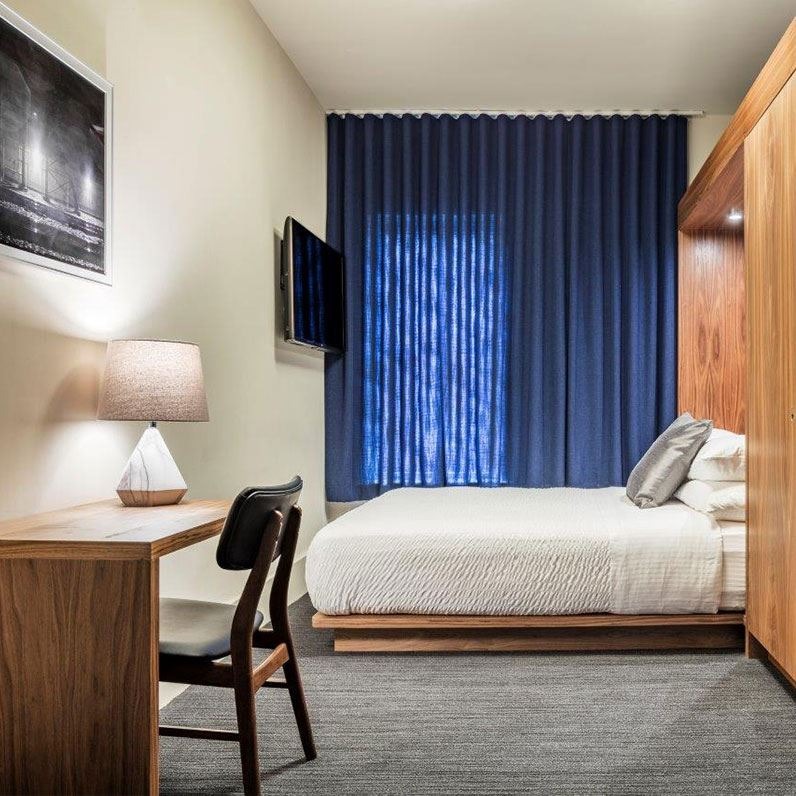 The new hotel chain with hotels in Chicago, DC and San Diego targets budget conscious travelers and has plans to open in six more cities by 2020. The building which dates back to the late 19th century when it first opened as the Sumner Hotel, is marketing itself as a “micro hotel” with 66 private and 2 shared hotel rooms. The building has been completely remodeled with two lounge areas where travelers can gather, offering an affordable, social, stylish place for travelers in a prime location of the city. The decor could be described as minimalistic with an ivory and dark blue color scheme, dark herringbone floors, and walnut accents. However, the most amazing thing about this new hotel is that nightly rates start at $39. You can learn more about Boston’s newest hotel by visiting their website or liking their Facebook page. This entry was posted in Boston and tagged BosGuy, Boston, Boston Guy. Bookmark the permalink.